Survey results collected from the U.S. Census over a five-year period have given us a glimpse into which cities’ residents are taking an eco-friendly approach to their daily commutes. Here at SaveOnEnergy.com, we dug into this data and ranked which areas have the highest percentage of green-minded commuters in the U.S.
Below are the top 10 cities, by population group, where commuters are using green transportation – carpooling, biking, walking and using public transportation – the most. We dive into the data and rankings even further in the eco-friendly travel sections listed above. When commuters use these green methods of transportation they can help save money, reduce overall dependence on fuel and improve air quality. 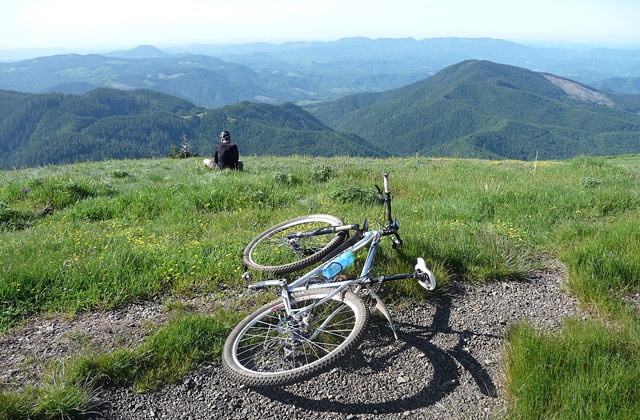 Corvallis, OR: Biking is what made Corvallis one of our overall greenest cities. The League of American Bicyclists gave Corvallis a gold rating as a Bike Friendly Community (BFC) in 2011. Additionally,Oregon State University, located in Corvallis, is a recognized Gold-level Bike Friendly University. Only 12 universities across the country have this elite status. Key West, FL: In Key West, everything you need is within a few miles. Both residents and tourists in Monroe County can benefit from the convenient bike rentals. In the summer when it’s too hot to walk, biking is the perfect solution! Laramie, WY: Laramie BikeNet organizes biking events for the community such as Cyclocross in the Park and Dad Dog Race and Ride. If you’re more interested in mountain biking than city biking, check out the Laramie Mountain Bike Series. Almost 6% of residents in Laramie use biking as a way to get around town.